Unwind on a crisp mountain night, warmed by a crackling campfire under a canopy of twinkling stars. Fall asleep to the gentle murmurs of crickets and tree frogs, then awaken to the melodies of songbirds. Hike a winding trail and picnic beside a racing waterfall. Watch for deer in the shifting shadows of the forest. Experience camping the way it’s meant to be—just you, a tent and the wonders of Nature. 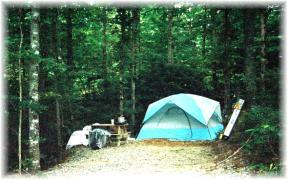 Nothing can compare to the enjoyment of camping amidst the tranquil landscape of North Carolina. Blessed with year-round mild climate and unsurpassed natural beauty, North Carolina offers a diverse variety of experiences--from hiking or mountain biking in the rugged Western NC mountains, to lazy canoe rides on the rivers of the Piedmont, to soaking up the sun on the Coast. Whether you choose to stay in the cool, lush mountains, the emerald forests, the gently rolling Piedmont woodlands, the grasslands of the low country or the coast’s balmy beaches, your tent camping trip will be a magical one. ASH GROVE Mountain Cabins & Camping is nestled on 14 wooded, mountaintop acres, with secluded walk-to tent sites (Stellar Sites) and drive-to sites with water & electricity (Techno Tent Sites) and sites for smaller RVs (32’ max. for motorhomes & 5th wheels, 28' max. for trailers). We also feature fully furnished and equipped 1, 2 & 3 bedroom rental cabins with kitchens, full baths, TV, heat, ceiling fans and AC, gas log fireplaces (in 1 & 3BR cabins), screened porches, and more. Daily and weekly rentals are available. Our secluded Stellar Sites allow you to experience camping the way it was meant to be--no headlights, no RV noise, no TV--just the golden glow of a campfire, the relaxing sounds of nature, and a sky awash with stars. An easy walk (25 to 200 yards) from the parking area at our heated bathhouse and hot tub, each site has a picnic table and a fire ring/grill. We provide carts to help you load-in your gear. Carved from the forest, these sites are designed for small to medium-sized tents. Located in a separately from the Stellar sites, the Techno sites are for those who need to bring along their modern electronic devices. These shady drive-to sites include a water spigot & electric outlets, free Wi-Fi, picnic table and a fire ring/grill. With just 5 Techno sites and fewer than 20 Stellar sites, we offer a quiet, uncrowded camping experience--a relaxing alternative to the hustle and bustle daily life. We are located just minutes from downtown Brevard, Dupont State Forest, Pisgah National Forest and dozens of waterfalls. Open year-round. Want to try tent camping, but don't have your own tent? Rent-a-Tent for your stay at Ash Grove. Click here for details. 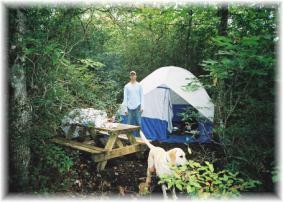 Visit our website www.ash-grove.com or email camping@ash-grove.com for rates and more information. 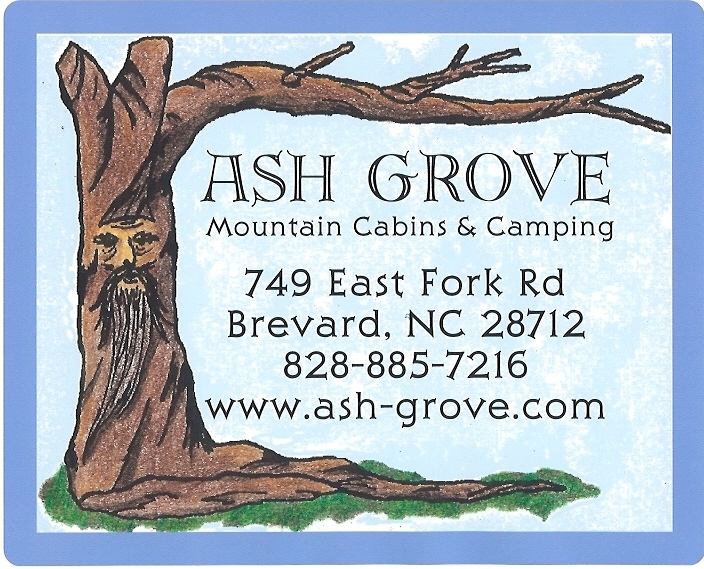 Please note: This website is created and hosted by ASH GROVE Mountain Cabins & Camping. It is currently under development. We will be adding new tent camping information, tips and more. If you have ideas for articles, please email camping@ash-grove.com We strive to keep all information accurate and up to date, however, ASH GROVE is not responsible for errors, misstatements or outdated information that is provided by others.